For over 30 years we have been providing high-quality applied learning opportunities for students interested in exploring government and nonprofit careers. Come spend your summer with us! Applications open December 21! Students who apply by the priority deadline of February 1st will find out their status within a few weeks of applying. Public Service Scholars turned 30! 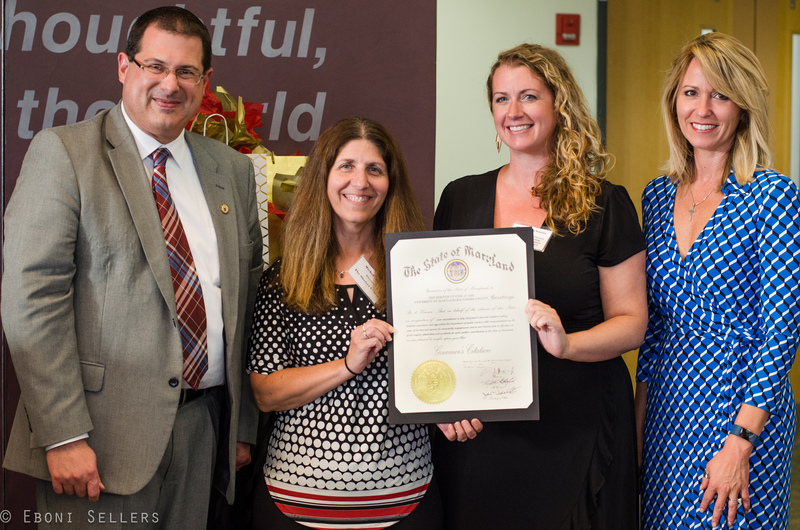 Public Service Scholars alums, Governor Hogan's Chief Legislative Officer Chris Shank (GSIP '93) and DLLR Secretary Kelly Schulz (MDOT '05) presented the Shriver Center with a Governor's Citation on August 1, 2017 to honor our 30th year! The Shriver Center at UMBC coordinates several Public Service Scholars fellowship programs on behalf of the state of Maryland. These fellowships provide students across Maryland the opportunity to develop as future leaders in Maryland’s public and social sectors.